Less can indeed be more when it comes to the homepage of your website. A simple, clean design with intuitive navigation will entice website visitors with short attention spans to stay a bit longer. Put the key items that your clients are searching for on your homepage: property search capabilities, real estate resources, blog articles, and your phone number, email address, and links to your social media profiles. The good news is that at Elm Street Technology, we integrate your blog with your social media profiles so that every time you post a blog article, the link goes out to Facebook, Twitter and LinkedIn. That takes care of a good chunk of your posts! We just mentioned this, and it can’t be overstated. You want to give your clients useful or interesting content on your blog and on your social media profiles. This means local information, real estate insights, answers to FAQs, and even a funny anecdote or photo here and there. Don’t be afraid to share a link to an article you think your clients would be interested in, this can be a great way to build relationships. If you have any incentives to offer your clients (read: freebies), spread the word across your site and social media profiles. This is link-building 101: Always link back to your own website whenever possible! Make sure all of your social media profiles, e-newsletters, email signatures, and yes, even printed materials, have your website on them. Link out whenever possible to drive clients back to your site. If you’re writing blog posts, reference and link to other posts you’ve written when it makes sense. Your website is only as good as your blog content. Fresh blog content boosts your ranking in Google and increases the number of searches your site may be returned for. If a potential client sees that your blog hasn’t been updated in a long time, it’s a red flag that speaks to your professionalism. Keep posting! There’s no doubt about it, maintaining an online presence can be a lot of work. But this will never again be the world of newspaper ads, so take a moment to make sure your presence is polished. Check for grammatical errors, misspelled words, and broken links. Don’t be afraid to shake up your posts. Try some video blogs, or post something different than you normally would to Facebook. A small change, whether it’s the time of day that you send out your email newsletter or some new hashtags on Twitter, might give you a big boost. The beauty of online marketing is that you can track how well a strategy is doing. If a new strategy isn’t working as well as you’d hoped, try something else. 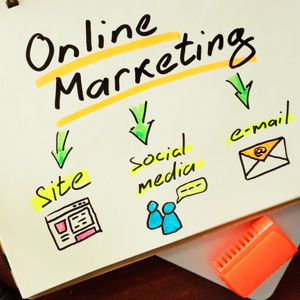 Online real estate marketing is effective and affordable when done right. Take a few minutes today to review and polish your online presence.